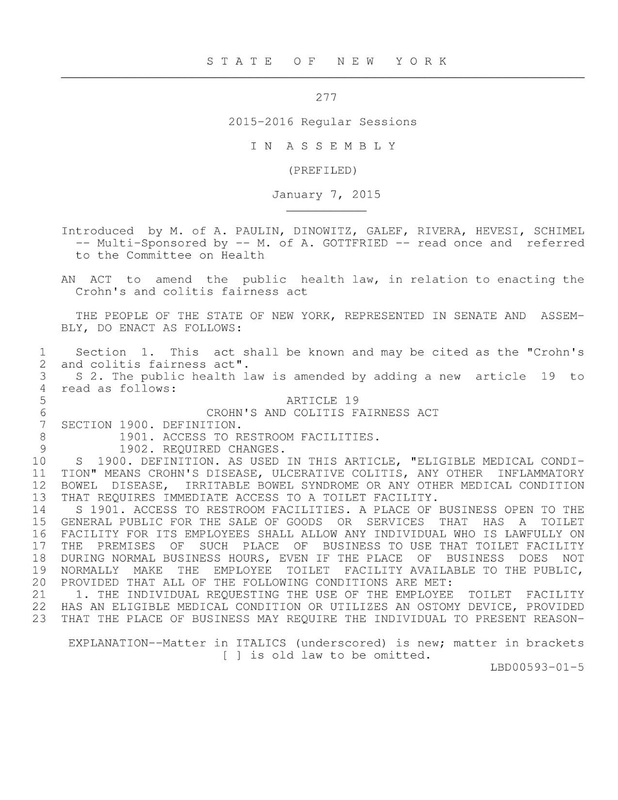 WE NEED YOUR HELP to pass the NY State Restroom Access Act, a bill that will allow people with qualifiable medical conditions, like inflammatory bowel disease (IBD), access to employee restrooms in businesses. Two years ago, we asked you to join our campaign about the “The Restroom Access Act” is also known as “Ally’s Law,” we BH got a lot of people involved, but sadly at the end it failed again due to some wording issues. 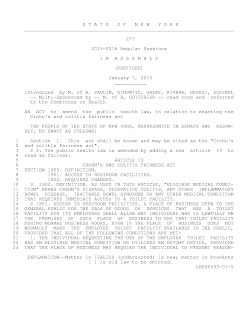 A few month ago, on January 7, 2015, bill A277-2015 was introduced again by Assemblywomen Amy Paulin (88th District), an act to amend the public health law, in relation to enacting the Crohn’s and Colitis fairness act, this “The Restroom Access Act” is also known as “Ally’s Law,” so named for Ally Bain, a teen that was spurred to action after she experienced an IBD-related accident. Ally was denied access to an employee-only restroom while shopping. Ally was instrumental in getting the first version of the Restroom Access. 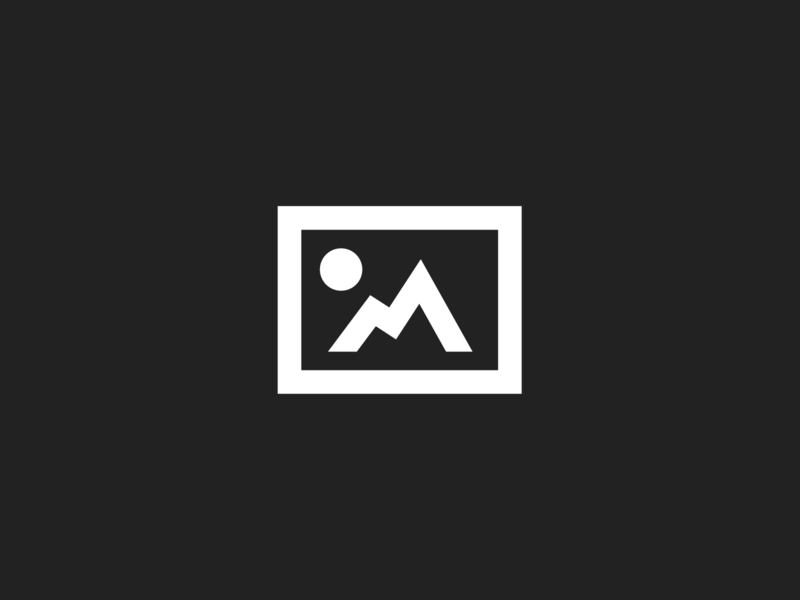 The Restroom Access Act is a law passed in several states that requires retail establishments that do not have public restrooms to provide access to employee-only restrooms to patrons in need. This can include people who have inflammatory bowel disease (IBD), irritable bowel syndrome (IBS), pregnant women, and those who have other chronic conditions. The Restroom Access Act has been passed in a total of fifteen states: Colorado, Connecticut, Illinois, Kentucky, Maine, Maryland, Massachusetts, Michigan, Minnesota, Ohio, Oregon, Tennessee, Texas, Wisconsin, and Washington. The act has been passed in these states largely as result of grassroots efforts. There is support for a federal version of the act, and several other states have similar laws currently in the works. 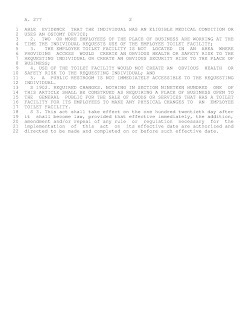 In Senate it was introduced as bill S4918-2015 by Senator Kemp Hannon, chairman of the prestigious Senate committee on Health. 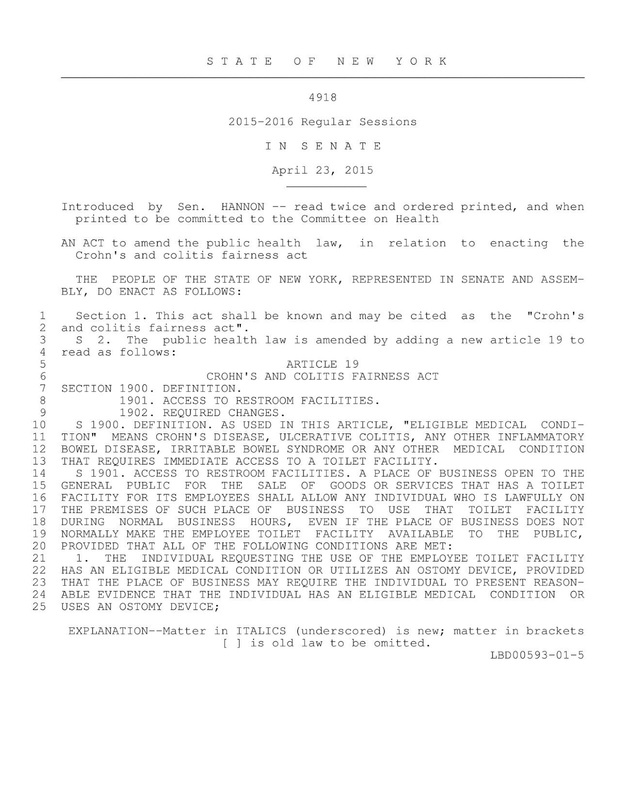 One of the easiest things to do to generate support for Bill A277/S4918 – The Crohn’s and Colitis Fairness Act – Restroom Access, is to send an email to your legislators. 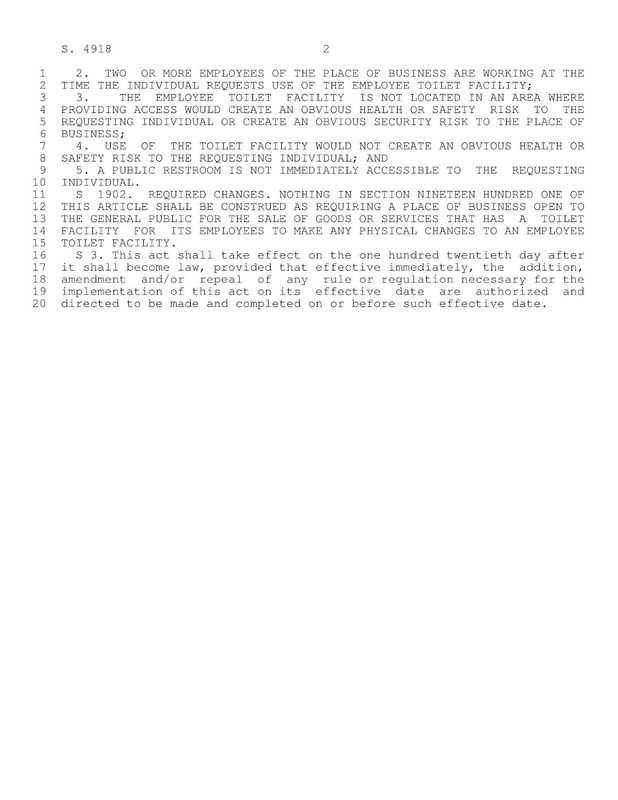 I am a voter/constituent in your district and I am asking for your support of Bill A277/S4918, which enacts the “Crohn’s and Colitis Fairness Act” providing Restroom Access. 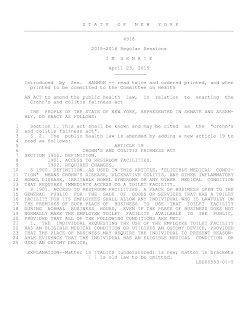 This bill would allow people with medical conditions that require urgent restroom use–such as the inflammatory bowel diseases (IBD) Crohn’s disease and ulcerative colitis–to use an employee’s-only restroom when a public one is not available and it is safe for the business to do so. In NY State there are more than 100,000 people with these debilitating diseases. I am sure you can imagine how it must feel to be denied access to a bathroom when you so desperately need one. This Bill is important to me because… (I have IBD or am related to or friends with – whatever personal connection you wish to share). A simple thing like this from many of us can be what it takes to get the Bill passed. 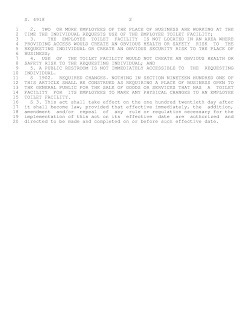 Let’s blanket NY State with requests for support of this necessary Bill. Please let one of us know if you are able to do this and we will keep track of all the legislators reached. If you think you can or know someone who can help us out achieving this, please contact us. Road To Prevention Event #1 * Thanks!!! What's Next...?? ?